Our clinical staff are all registered with the General Dental Council (GDC) and adhere to the regulations governing the profession as set out in their publication "Standards for the Dental Team". The General Dental Council (GDC) is the regulatory body of the dental profession in the United Kingdom. Their address is 37 Wimpole Street, London, W1G 8DQ and their telephone number is 020 7887 3800. You can also find out more about the GDC on their website www.gdc-uk.org. Avi qualified at Kings College, London in 2001. He joined the practice in September 2014. Avi and Ketan then took over the practice from George and Kevin in June 2015. Avi is passionate about dentistry in general, and particularly enjoys cosmetic dentistry and orthodontics. Outside of work, Avi enjoys playing squash and spending time with his family and friends. Ketan qualified at Kings College, London in 2007. He came to the practice in September 2014, and along with Avi, took over the practice from George and Kevin in June 2015. 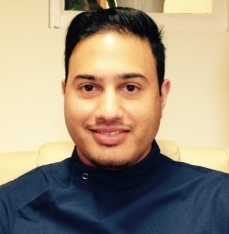 Ketan enjoys all aspects of dentistry, especially cosmetic and orthodontics. Outside of work, Ketan enjoys keeping fit by attending the gym as much as possible. He also enjoys socializing with friends and a good movie. Kevin qualified from Edinburgh in 1977 and has worked in Corby ever since apart from a spell in the Middle East and Brunei. Kevin joined George as a partner in 1992. Kevin does a lot of work for NCAS (National Clinical Assessment Service) who contribute to patient safety by helping to resolve concerns about the professional practice of doctors, dentists and pharmacists. He has a special interest in Restorative Dentistry especially implants. Other interests include golf, swimming and spending time with his twin grandchildren. 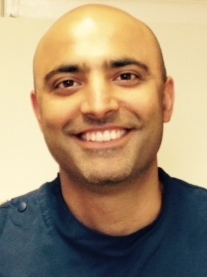 Manjit qualified from Birmingham in 2002 and has worked here at the Practice since August the same year. 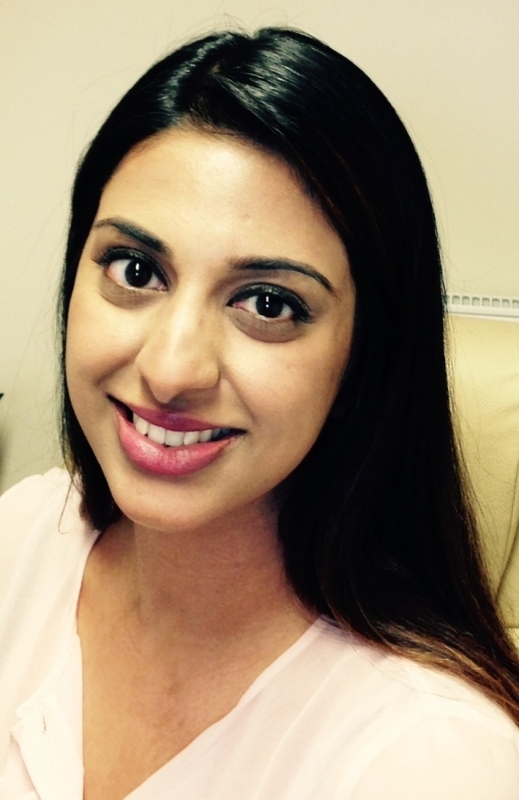 Manjit has a special interest in Restorative Dentistry. Hobbies include music, reading and spending time with her family. 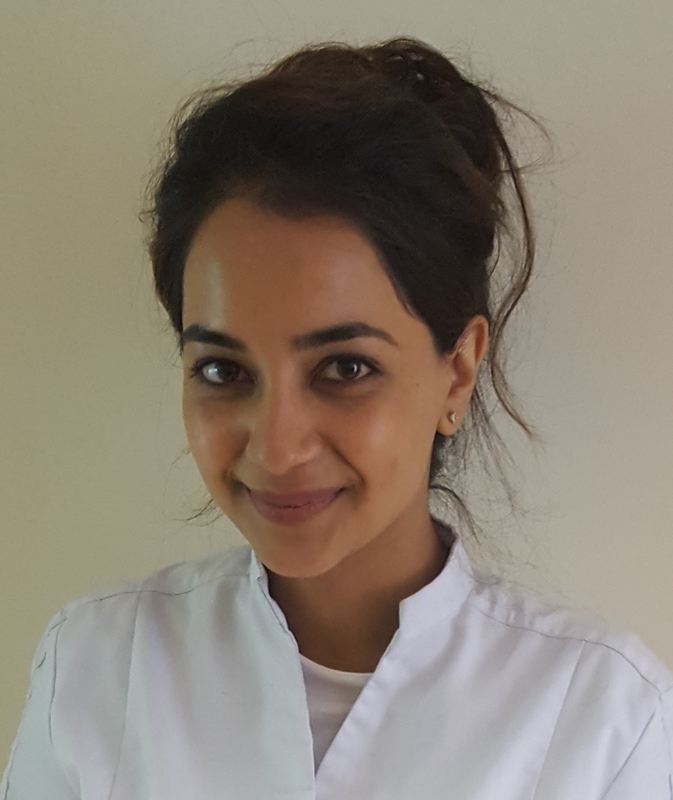 Roulam has many years experience in oral surgery, having worked in numerous hospital posts and the last 12 years, specialising in urgent care, special needs and phobic patients providing routine care and minor oral surgery under sedation. He joined the practice in June 2016 and has become a popular member of the team. He is an excellent cook and enjoys travelling and spending time with his family. Neerali qualified at Bristol and joined the team in September 2015. She enjoys spending time with her family and going to the gym. Amisha joined the practice at the beginning of September 2016. Her hobbies include travel and Yoga. 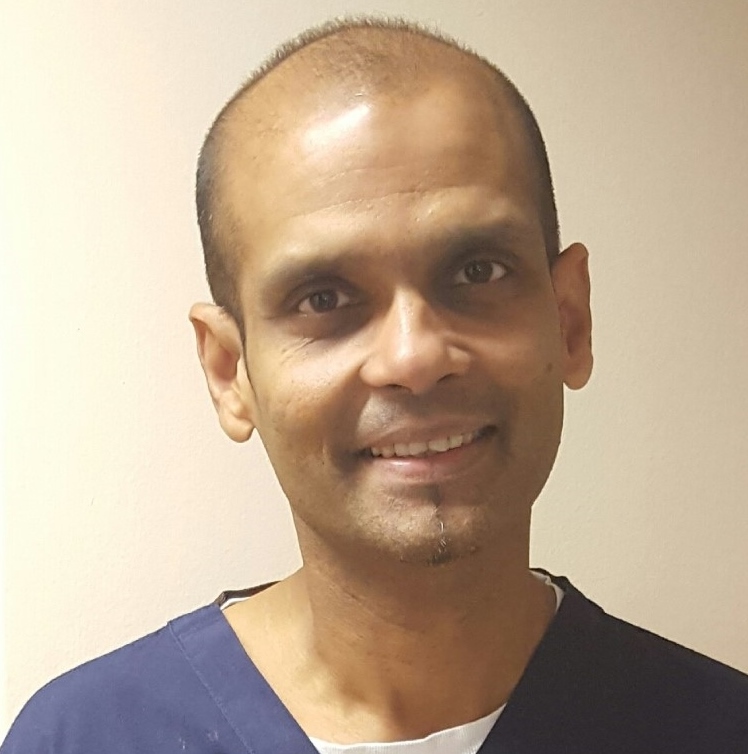 Mr Selvaraj is our visiting dentist with a special interest in Orthodontics. 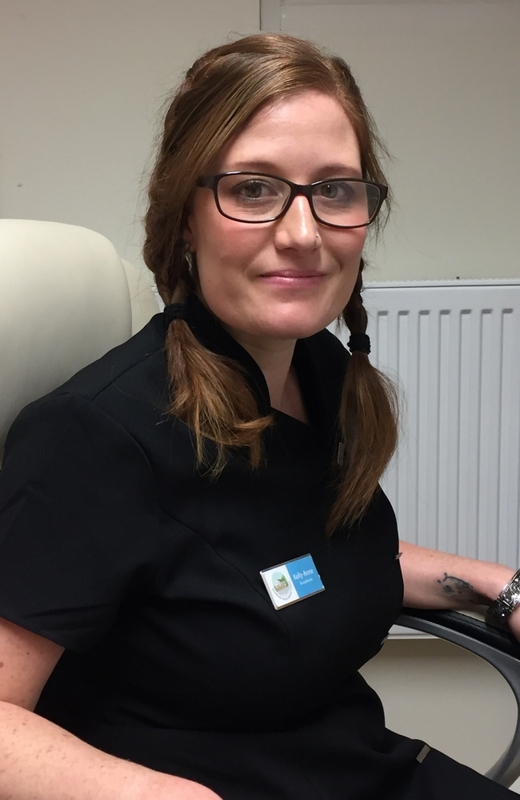 Rebecca qualified as a Therapist/Hygienist in December 2014 from Leeds Dental Hospital and joined the team in September 2015. Her interests include reading, walking, music and socializing with friends and family. Diana joined the practice in October 2016. She qualified in Poland in 2010 and moved to the UK in November 2011. Her spare time is mainly taken up with her baby daughter, but she enjoys walks with her dog, reading and when the chance comes up, dancing and socializing! Sarah gained the National Certificate in 1992 and has been at the Practice since 1995. 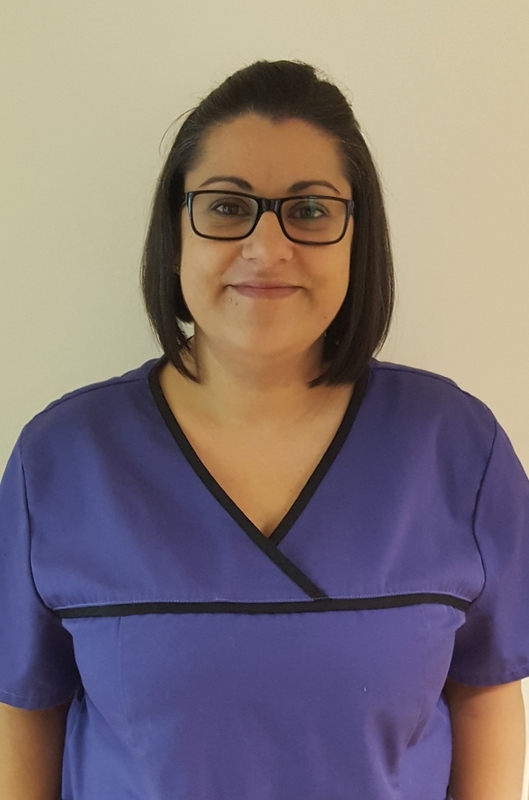 Sarah has qualifications in Oral Health Education, fluoride application, Dental Radiography and more recently gained a Level 3 Certificate in First Line Management through ILM. 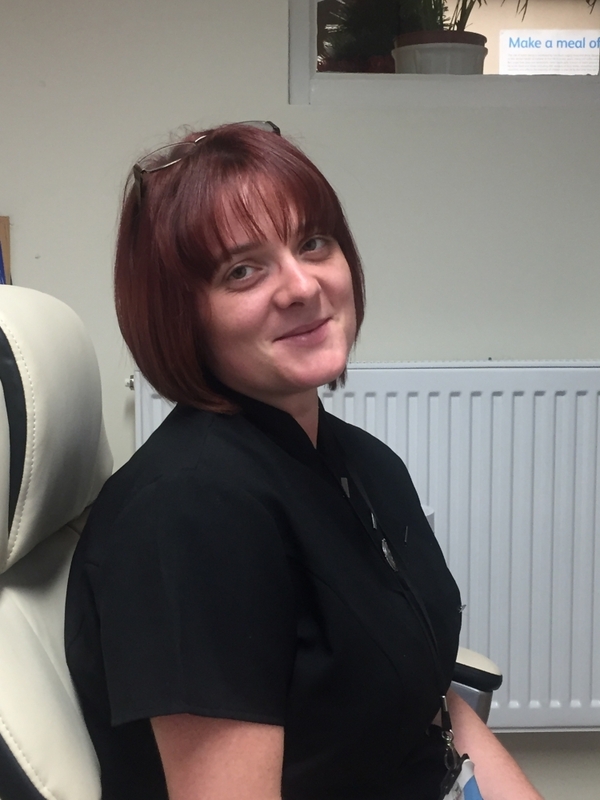 Sarah manages the outgoing finances within the practice. Her interests are running, horses, walking her dog and spending time with her family. Linda has been at the practice since 1988. 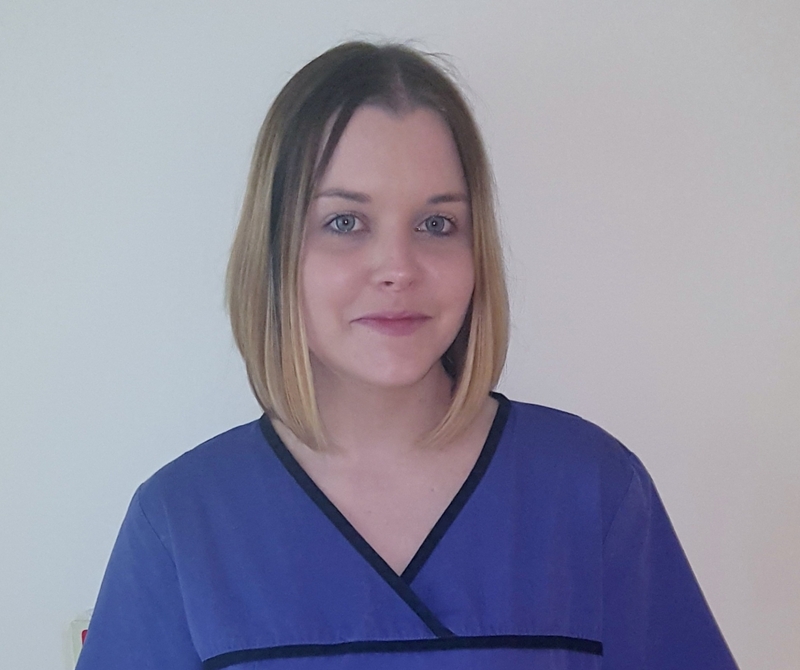 She is a qualified dental nurse and has further qualifications in radiography and more recently a Level 3 Certificate in First Line Management through ILM. Linda manages the NHS contract and the incoming finance of the practice. Her hobbies include making ceramics, music and spending time with the family. Lynne qualified in 1992 and has been at the Practice since 1997. 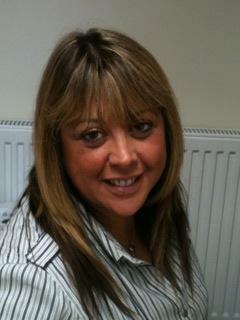 Lynne is a qualified nurse and has gained a Level 3 Certificate in First Line Management through ILM. Lynne ensures that the practice complies with all policies concerning the CQC. Lynne enjoys reading, walking her dog and spending time with her family. 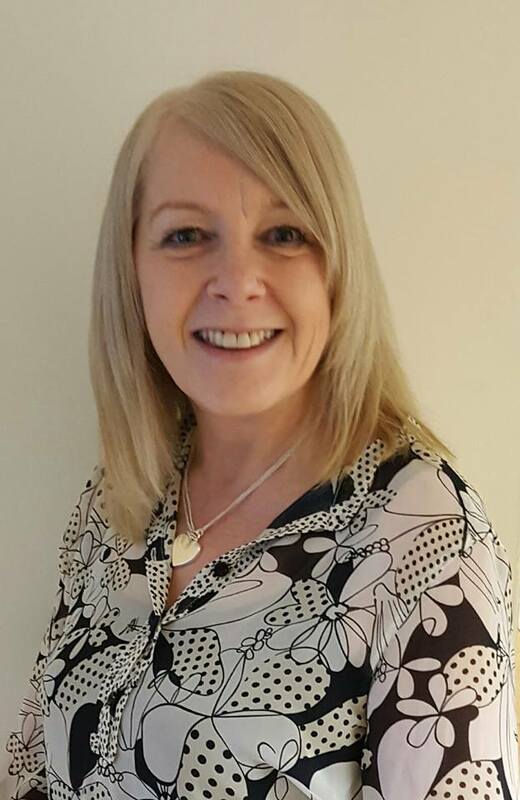 Catherine joined us in 1990 and has gone on to gain qualifications in Oral Health Education, Conscious Sedation, fluoride application, Dental Radiography, impression taking and suture removal. Catherine works with our Foundation Dentist. 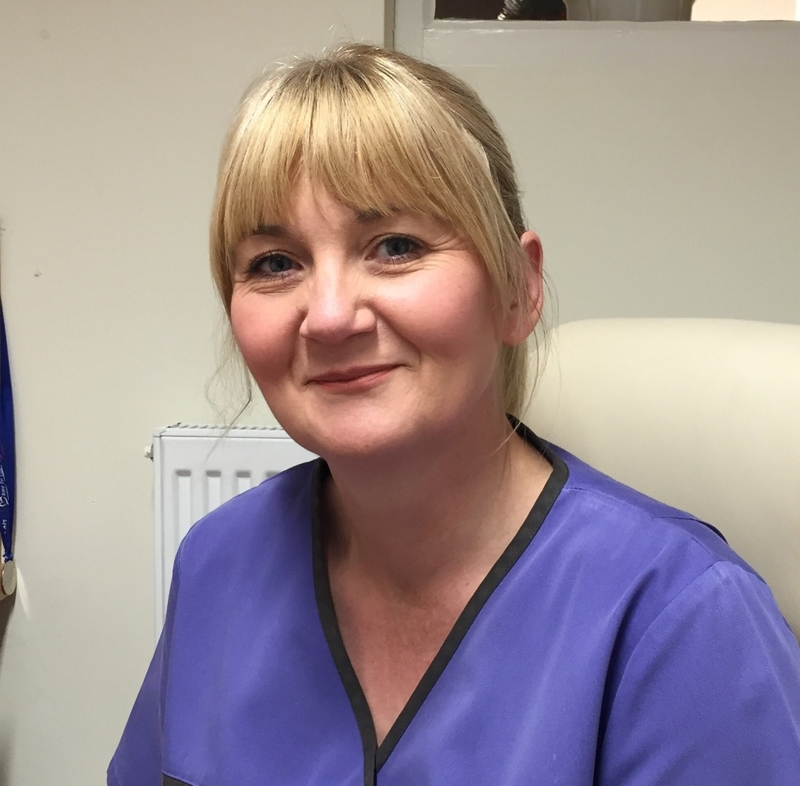 She is also an Assessor for NVQ dental nursing and also has an interest in oral surgery. Catherine enjoys the great outdoors and cycling. 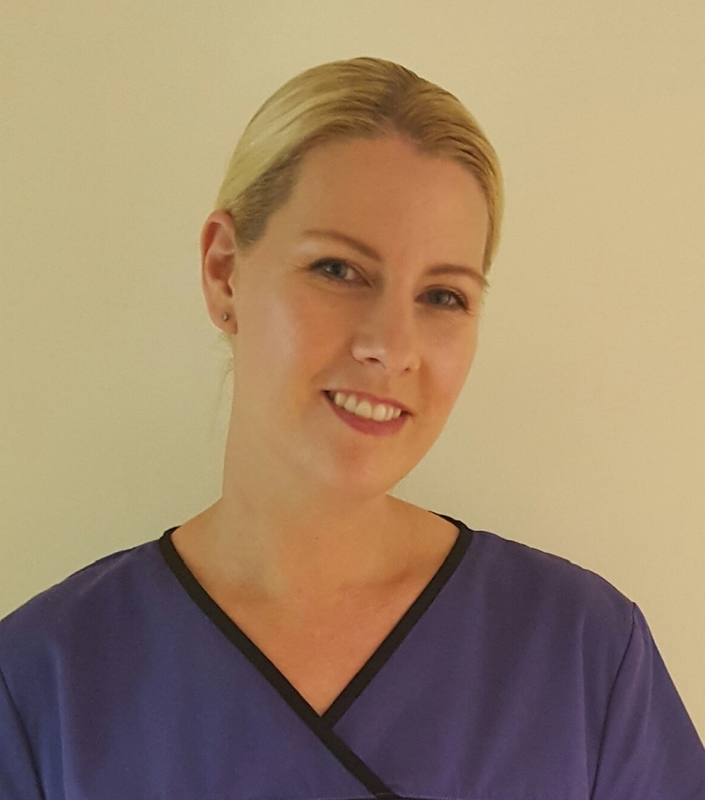 Rachel gained her National Certificate in Dental Nursing in 1995 and also holds qualifications in Oral Health Education and Dental Radiography. Rachel started at the practice in 1999 as a Dental Nurse. She is now Senior Receptionist and is also one of two nominated First Aiders within the practice. Rachel is very much a people person and enjoys customer service. Her hobbies include photography, music, cooking, family time and walking her dogs. Jo has been at the Practice since 2002. She holds qualifications in Oral Health Education, Dental Radiography, impression taking, suture removal and fluoride application. Jo has taken the lead in implementing and monitoring all aspects of our cross infection protocols (HTM01-05). Her hobbies include cooking, reading, especially history, walking with her dog and music. Jane originally joined the practice in 1990. 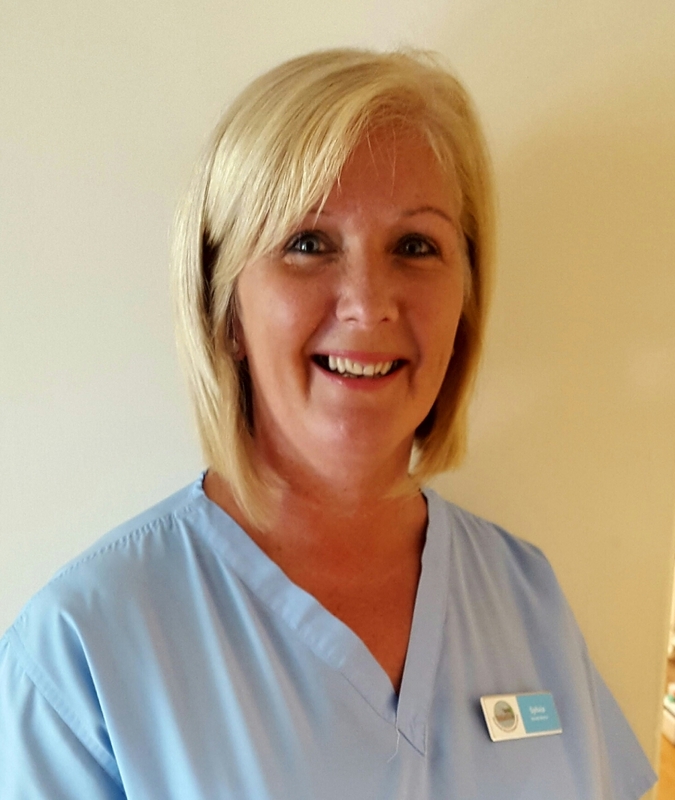 As well as being a qualified nurse Jane holds a certificate in dental radiography and suture removal. Jane has an interest in implants and cosmetic dentistry. Her hobbies include walking, family time and she is also a Scout Leader in her village. Kelly-Anne has worked at the practice since 2004. She really enjoys the customer care aspect of her role. Her interests are going to the gym, walking and spending time with her daughter. 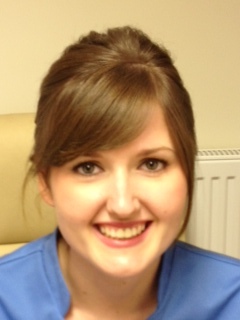 Amanda joined the team in 2009 and is a qualified dental nurse. She is the practice Whitening coordinator, and also holds a certificate in dental radiography, impression taking and suture removal. Her interests include cosmetic dentistry and her hobbies are going to the gym, running, eating out and socializing with friends. Luka joined the practice in 2012 and qualified as a dental nurse in 2013. 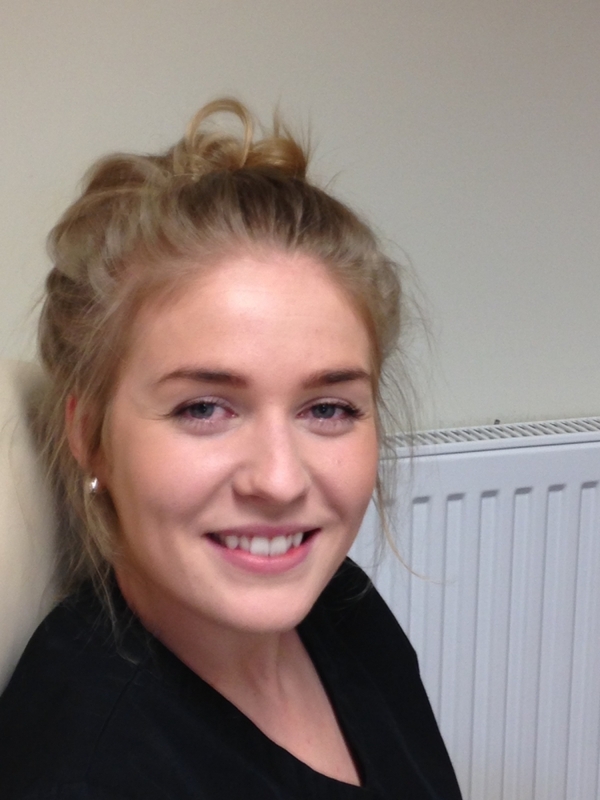 She has a keen interest in cosmetic dentistry and really enjoys the customer care aspect of the role. Her hobbies and interests are zumba, music and socializing. Tara has experience in both reception and nursing. Her interests are orthodontics and she enjoys meeting new people. Tara's hobbies are swimming and spending time with her family. Kerryanne qualified in 2015 and joined the team in July. She enjoys socializing with friends and family and walking her Dachshund Murphy . 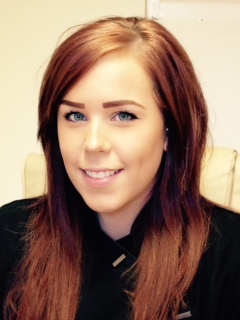 Kirsty joined the team in September 2015 as a receptionist. She is now doing her NVQ in Dental Nursing, working full time in surgery. She enjoys spending time with her family and friends, reading and walking. 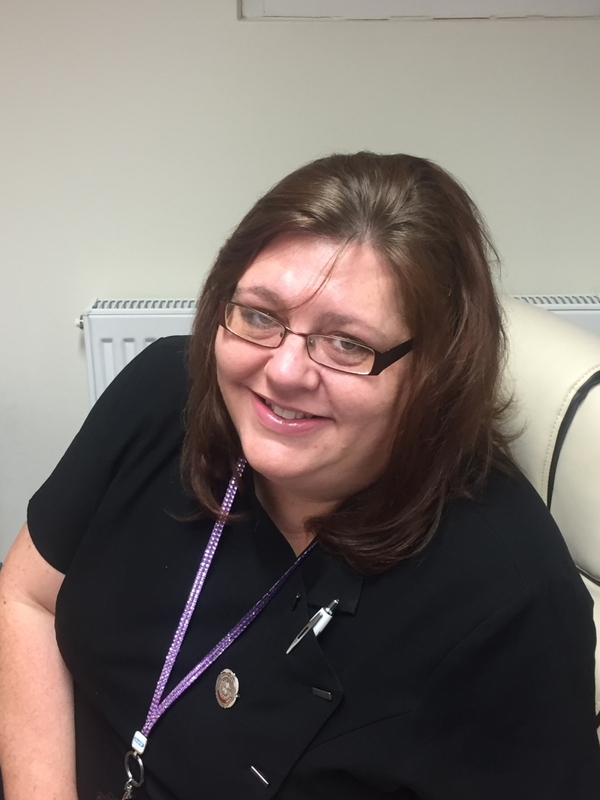 Sandra rejoined the practice in September 2016 having left in December 2013 when her family moved out of the area. She is a qualified nurse and radiographer, and also has her impression taking, suture removal, fluoride and bleaching. She enjoys the cosmetic side of dentistry. Her hobbies are travel and eating out. Lindsey re-joined the practice in October 2016 having left in 2007. She qualified in 2017 but has many years of experience behind her. Lindsey enjoys spending time with her young family, shopping and meals out. Sylvia joined the team in 2013 as our Decontamination nurse. She is in charge of the sterilization of all the instruments in the practice. Her hobbies are travel, shopping and socializing with friends and family. 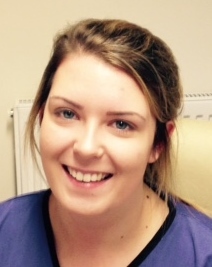 Darcy joined us in April 2017 and is training as a Dental Nurse. She works full time in surgery with Rebecca, our Hygienist. Measheall started with the practice in July 2018. 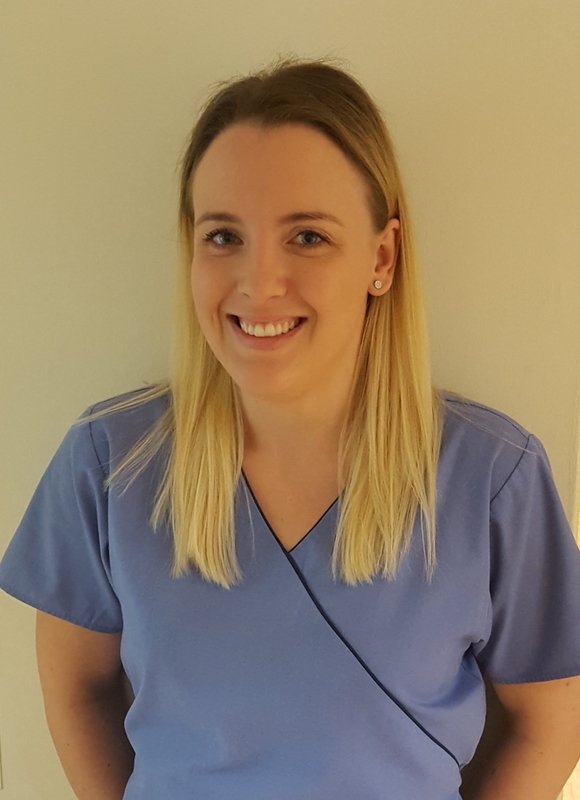 Emily started at the practice in August 2018 and has started her Dental Nurse training as well as covering reception.